No doubt Portable Document Format popularly known as PDF is the most widely used format for any documents. But when you can see it you will find over years there has not been a single attractive and major change with the PDF. If you will open a PDF of 5 years ago and today’s you will hardly find any major changes except the compatibility and some extra security. So aren’t you got bored by seeing same thing again and again? If yes, here I have an exciting solution for you. Most of the e-books or any business related documents are in PDF format. Suppose you have put an e-book at your blog and you are giving those to your subscribers. But have you ever realized that not many people are downloading or if they did many are not returning. This is mainly due to the lack of interest. 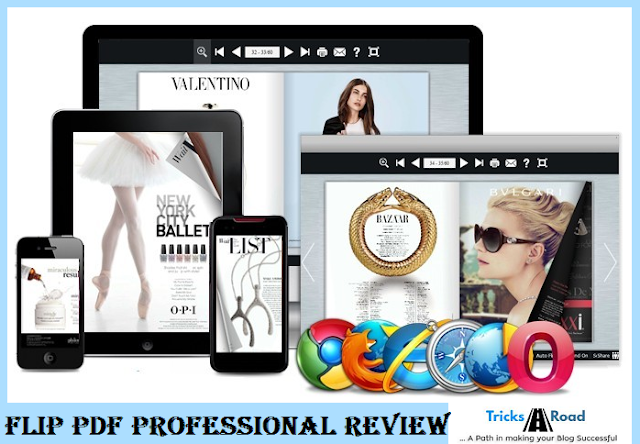 So here it comes PDF Flipbook Software which will help you to get rid of it and will make your PDF awesome in look and feel as well as it will incorporate lots of features. Flip PDF Professional is a PDF converter. But it’s not like the other converter. 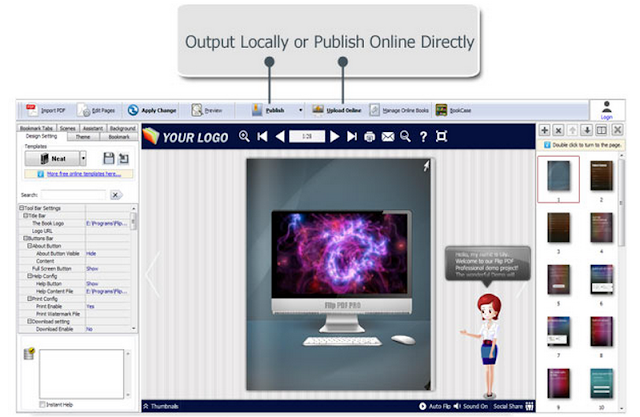 This tool converts based on the characters and converts non-interactive PDF files into multimedia based, interactive flash files. Many websites offers e-books to attract the visitors. But if will use Flip PDF you can attract more and more subscribers as it allows you to include Images, Videos and other flash media. I am using Flip PDF professional since a week now and I love it. The best thing is the touch support. It enables you to engage customers who love to carry iPad, iPhone or Android tablets and who are comfortable with swiping, touching and tapping. Based on both Flash and HTML5 output formats, the flipping book can run smoothly on desktop and mobile devices. 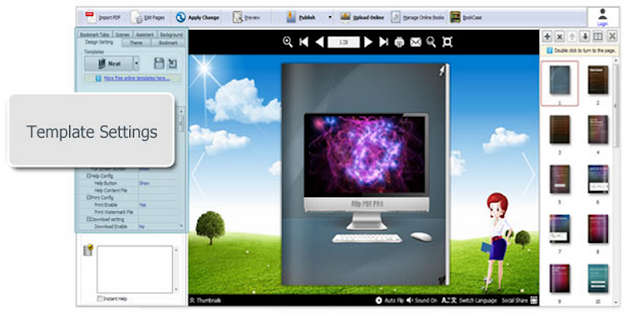 • Here we can add or embed any multimedia files. • Touch support– making our flipbooks more gadgets compatible. • Import bookmarks (outline) of original PDF, and edit them manually. 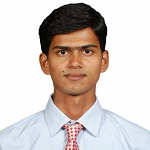 • It allows you to use pre-defined templates and enables you to customize those as well. • Edit pages with shapes, text, links, and images, videos (including YouTube & Vimeo videos) flash or sound files. • Flip book pages by dragging corner, clicking page shadow, scrolling mouse wheel, etc. 1. Just download the software. 4. Select an existing template. You can customize it as per your need. 5. Import existing PDF file, if needed. 6. Add/Delete page elements, if required. That’s all. 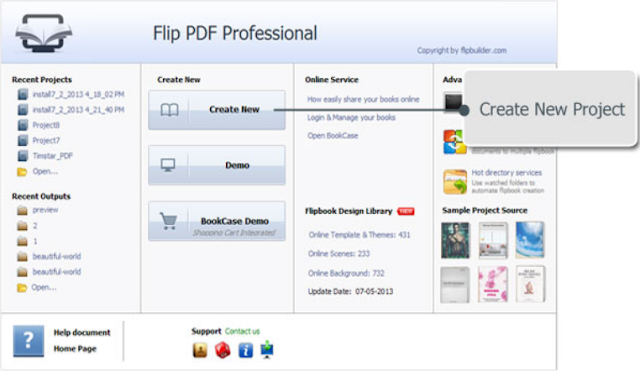 These were just few steps to create a stunning PDF file using Flip PDF Professional. 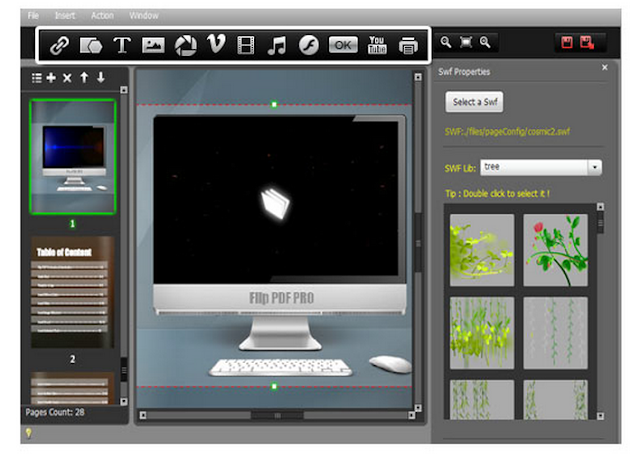 • FlipBuilder is easy to download and work on without the need to put in any effort. • Simple instructions and tutorials walk users through the more complex features. • User friendly toolbars with large icons make it simple to design. Why you should use Flip Builder? • Simplicity makes it the easiest tool available for taking a user’s digital assets and turning them into elegant and effective marketing and educational tools. • Selection of templates and effects/features make it the most robust solution on the market. • Online hosting makes it easy to share your assets. FlipBuilder provides two versions of Flip PDF Professionals. There are some differences in the feature which you can get from their site. The Upgrade price is $200 and the License price is $299. I would suggest you to use License edition as you will get all the features. Also FlipBuilder provides 30 days money back guarantee. If you are not satisfies with their features and services you can ask to return the money. So are you going to use Flip PDF or you are using any other such software. Do let me know your experience. Also if you liked this tool, please consider it for sharing.